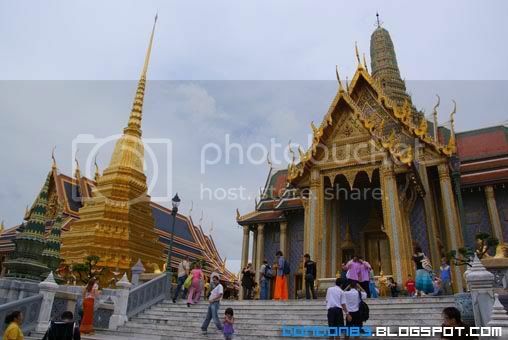 Grand Palace. we went to PALACE on your first day. 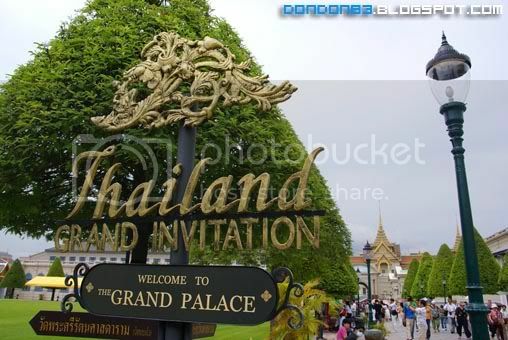 so.. here we go.. infront of the palace , before we go in.. something must be done..
Are you one of the Mr.Banned or Ms.NoEntry? 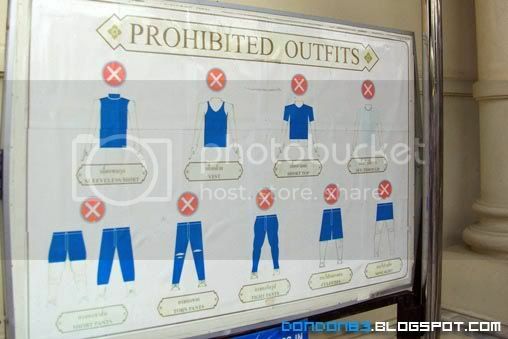 check ur cloth, are they qualified? if not qualified? turn around and byebye?? no lar. you can rent their pants there. 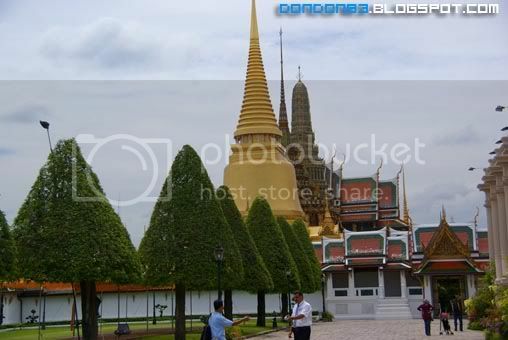 The Golden bell? very eye catching since whole is build on shining gold. i wonder what inside? Five Head GOlden...creature? and my hand of Five. yeah gimme FIVE! GOsh... i see GOLD everywhere. man.. i wish these are real gold and belongs to me. 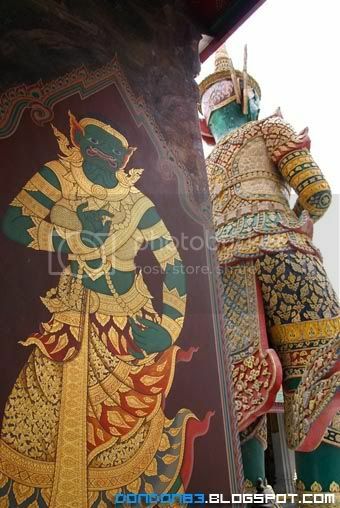 The art of the Guardian and the Real Statue of the Guardian. impressive art. 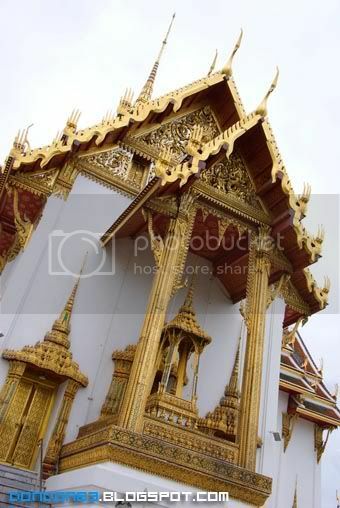 is GOLD PLATED!. 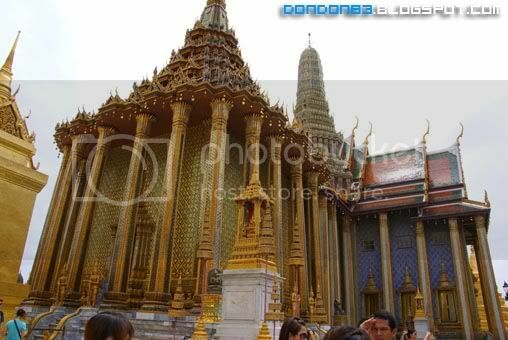 Golden Palace.. they just won't run away from GOLD. 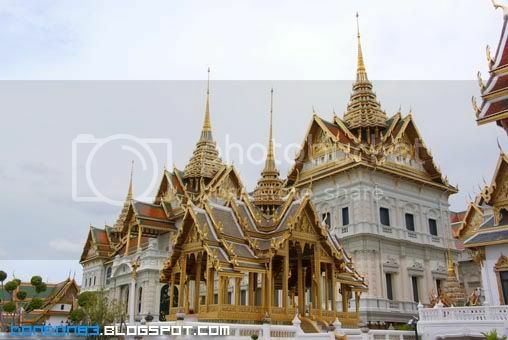 of course la.. ROYAL PALACE ma.. sure gold everywhere lo. 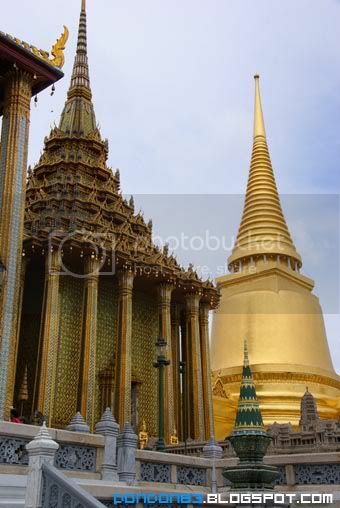 The Golden Palace.... see how Gigantic they are.. and how GRAND they are.